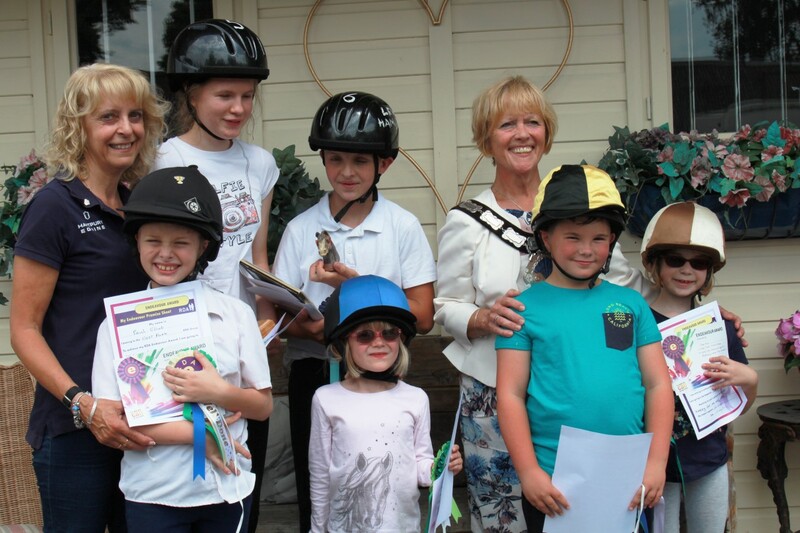 On Thursday 6th July East Park RDA played host to East Grinstead Mayor Mrs. Julie Mockford who gave up her valuable time to present Certificates and Rosettes to children from the Visually Impaired Unit at St. Stephens School, Godstone. The morning began with a display of the children’s riding ability, watched by proud parents who came to give their support. The Mayor then presented Certificates and Rosettes to the children in recognition of their various achievements over the year, which included; Horse Riding, Carriage Driving, Horse Knowledge and Endeavour Awards, where the children chose various targets to work on and improve. One of the children received a special award, ASDAN – an award earned by completing a substantial project evidencing knowledge and practical skills in assimilating information, research and mobility which took a year to complete. We are always looking for volunteers to help run our group here at East Park RDA. Without whom we would not be able to continue. So if you have a spare hour or two in the week, please call Sally at Little Brook Equestrian on 01342 837546.